"Life is like a coin: You can spend it any way you want, but you only get to spend it once"
Celebrate a birthday or other special event at the farm! Ride a pony, go for a hayride, pet the goats and sheep, relax by a bonfire . . . 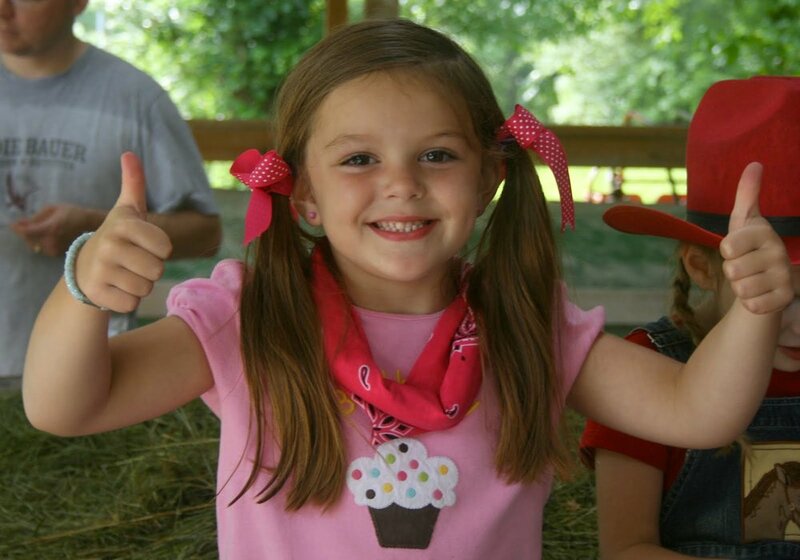 Whether you bring your own party and use us for a venue and entertainment or have us do the whole kit ‘n kaboodle, the farm is the perfect place to make memories! 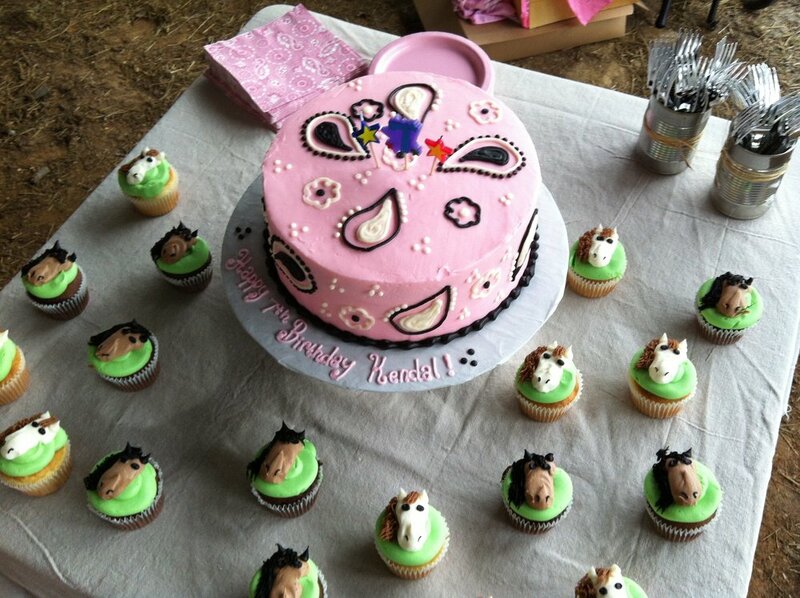 Birthday parties are generally scheduled for 2 hours, and can be reserved Sunday-Friday (we are closed on Saturday) from 10am til an hour before sundown (you may stay after sundown, but we will put the horses/activities to bed by sundown!). 1. Choose the Party Option from below. 2. Call 423-488-3993 to schedule your party. A deposit of at least 50% will be required to hold the party. Wear clothes suitable for an outdoor party on the farm. If it's rained recently, it could be muddy! Seating is limited, so bring along a camp chair. All guests must sign our Waiver, which they can do in advance from this website by signing the widget at the bottom of the page. We do not have restroom facilities, though we do have several porta potties and a couple spigots to wash hands. Seating: 2 picnic tables (seats 10-12 kids each). You might encourage guests to bring camp chairs for extra seating. PARTY OPTION B: Choose your own birthday adventure . . .
You make it pretty, and we provide the fun! Farmyard (best for pony rides): Near the barns, horses, and other farm animals, with picnic tables for seating. Creekside (second best for pony rides): There is nothing that says “summer birthday” like playing in the creek! Splash, dig, squirt . . . enjoy! No lifeguard on duty. Appalachian Shelter: Secluded hideaway in the woods with a fire pit. You can even camp out overnight, if you’d like! No restrooms. Hilltop Bonfire Pit: Top of the hill with a lovely view; lots of space to play capture the flag! We even start the fire for you! No restrooms. Pony rides ($40/horse/hour--2 horses usually accommodate up to 15 riders): We call them pony rides, but they are the best hand-led horse rides ever, customized to keep even the more experienced youngsters enjoying themselves. Ages 0-100. Add Pretty Pony Grooming Time to bedazzle the horses (see below). For an extra magical touch, we can even round up unicorns for a special treat! Add $15/horse (I mean, unicorn). Hayride ($30): Jump on our farm haywagon and take a relaxing 20 minute tour of the farm. We can usually accommodate about 20-25 passengers. Tractor Playground/Rides ($40/hour): This unique opportunity is a “must” for the boys! We set out several farm tractors for kids to safely climb and pretend on, and even drive with the help of a real farmer! Farm Animal Petting Area ($50/hour): Get up close to some of our other little farm animals, such as a sheep, goat, bunny, and chickens! Pony Cart Rides ($50/hour): Take a ride in a cart or wagon! Can take 1-2 riders per ride. Pretty Pony Grooming Time ($40): Start the party with a 20-30 minute grooming session to make the horses "birthday ready" with ribbons, glitter, and cutie marks! Includes 2 horses. Best for groups of 10 or fewer and ages 8 and up. Bonfire ($20): Perfect for chilly weather parties or for hot dog roasts! We'll get your bonfire started and provide plenty of wood to keep it going.